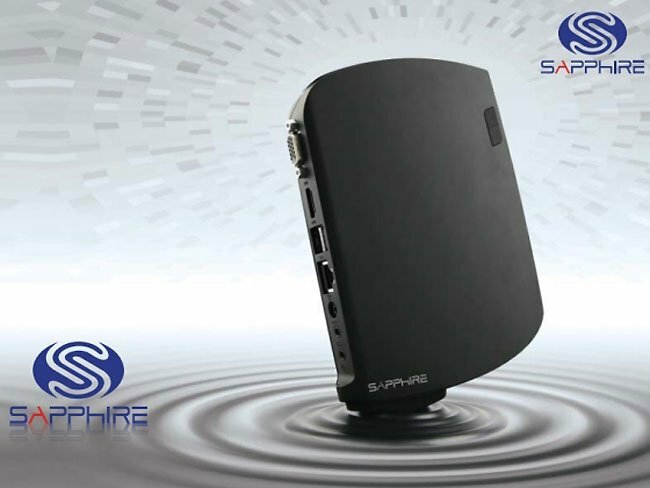 Sapphire has this week announced that their new addition to its range of products the new Sapphire AMD Fusion-Powered Edge-HD3 Mini PC, is nearing a shipping date. The Edge-HD3 Mini PC was first unveiled nearly 12 months ago and has since made appearances as CES and made its way through the FCC. Now Sapphire are preparing to official launch their new AMD Fusion-Powered Edge-HD3 Mini PC in to stores later this month. However no information on pricing has been released as yet. The Edge-HD3 Mini PC is equipped with a 1.65GHz AMD E-450 APU with integrated Radeon HD 6320 graphics, supported by 4GB of RAM. Together with storage options for 250GB, 320GB and 500GB capacities, as well as Gigabit Ethernet, built-in Wireless N connectivity, HDMI and a pair of USB 3.0 ports. The Sapphire AMD Fusion-Powered Edge-HD3 Mini PC measures just 193mm x 148mm x 22mm in size and weighs 1.2 pounds, and will come loaded with FreeDOS software, but will also support Windows 7 and other operating systems.